A Wisconsin jury on Tuesday found Apple in infringement of computer processor patent owned by the University of Wisconsin Alumni Research Foundation, a ruling that could potentially lead to a damages payout of $862.4 million. Trial proceedings began on Oct. 5, over a year and a half after WARF first filed its complaint against Apple with the U.S. District Court for the Western District of Wisconsin in early 2014. 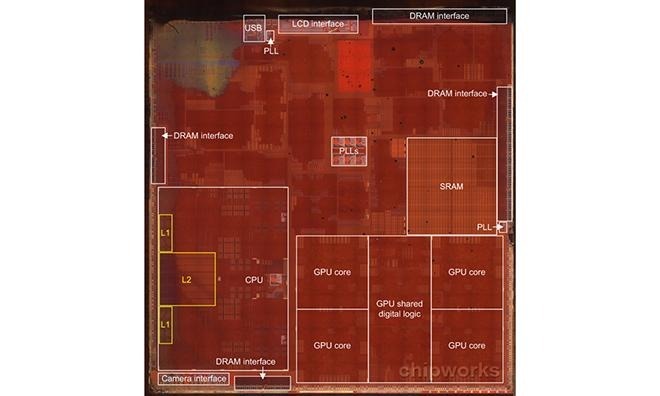 In its case, WARF asserts Apple incorporated patented computer microarchitecture into the A7, A8 and A8X system-on-chip designs, components used in numerous iOS devices. As the University of Wisconsin's non-profit patent management body, WARF patents and licenses inventions developed at the institution, with proceeds gained put toward future research projects. The IP in question, U.S. Patent No. 5,781,752 for a "Table based data speculation circuit for parallel processing computer," was granted to a University of Wisconsin team led by Dr. Gurindar Sohi in 1998. According to WARF and original patent claims, the '752 patent focuses on improving power efficiency and overall performance in modern computer processor designs by utilizing "data speculation" circuit, also known as a branch predictor. It was argued that Apple willfully infringed on the '752 patent, as it cited the property in its own patent filings. Further, the lawsuit claims Apple refused WARF's requests to license the IP. The initial complaint named A7 and all the products it powered at the time, a list that included iPhone 5S, iPad Air, and iPad Mini with Retina display. Apple subsequently incorporated the chip into iPad mini 3 models. The A8 and A8X SoCs were later added to the suit and affect iPhone 6, 6 Plus and multiple iPad versions. WARF leveraged the same patent against Intel's Core 2 Duo CPU in 2008, a case settled out of court in 2009 for an undisclosed sum, according to a 2014 report from The Register. Apple introduced its dual-core, ARM-based A7 chip with iPhone 5s in 2013 as the world's first consumer ready 64-bit mobile processor. The chip also included an embedded secure enclave that stores operational data for iPhone 5s and iPad mini 3 Touch ID fingerprint systems. After deliberating, the jury found Apple guilty of infringing upon all six asserted patent claims, while dismissing Apple's attempts to prove patent invalidity. Damages have yet to be assigned, but court documents show WARF is seeking an award of up to $862.4 million. WARF filed a separate lawsuit last month asserting the same patent against Apple's latest A9 and A9X chips incorporated in the iPhone 6s, iPhone 6s Plus and upcoming iPad Pro.